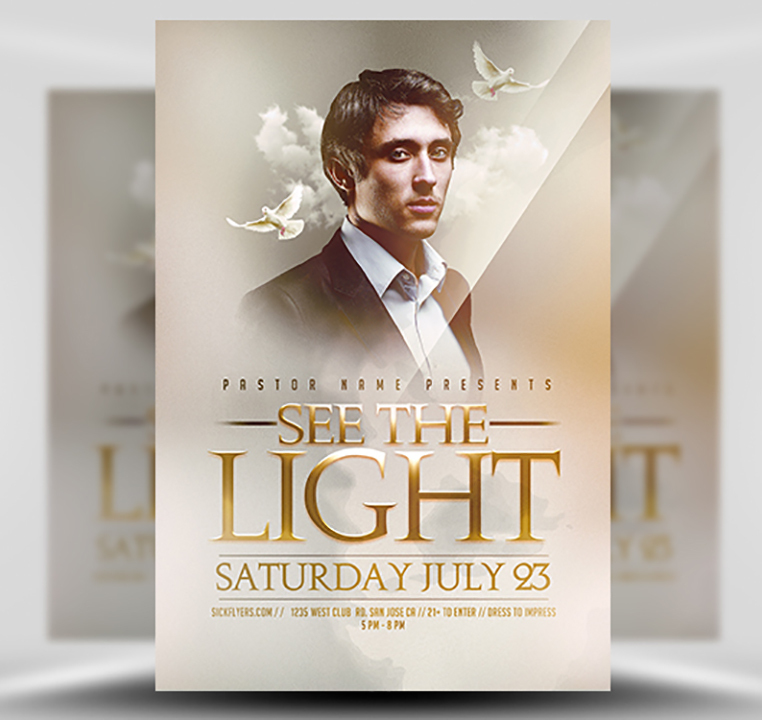 See The Light Flyer Template is a clean cut and easy-to-use Christian / Church flyer template, perfect for sermons and special church events. 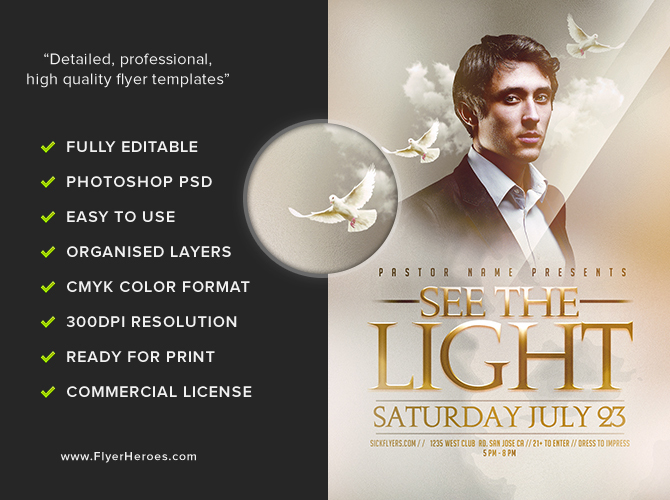 Easily paste in an image of your pastor / speaker and edit the text using Adobe Photoshop’s type tool. 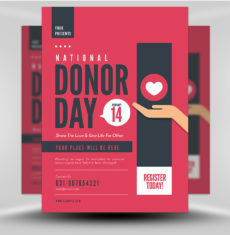 The soft colour scheme and subtle metallic text style give this flyer an appearance of pristine quality, without looking over-the-top luxury – a common trap that some designers fall into when creating church related work. 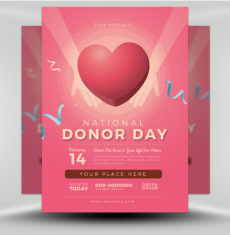 Overall this template is clean and clear, almost bordering on minimal. 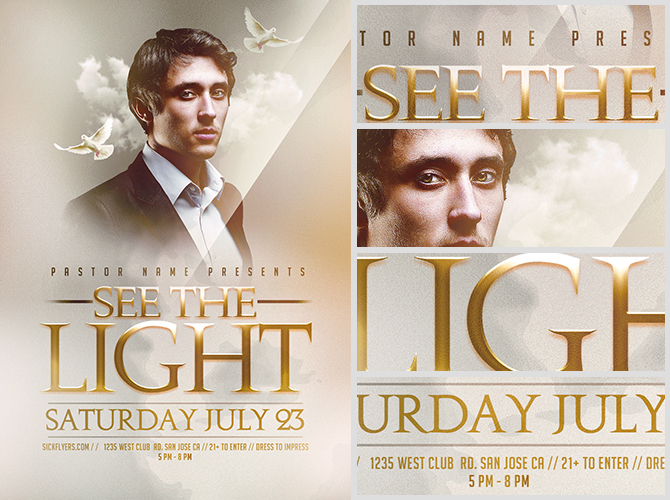 Touches of background clouds and white dove decoratations finish the flyer with a subtle heavenly presence. 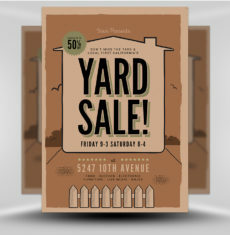 The text and image areas in this flyer template are fully editable and very easy to customise. 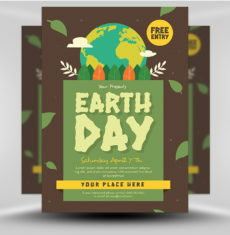 Simply edit with Photoshop and you are ready to go to print! 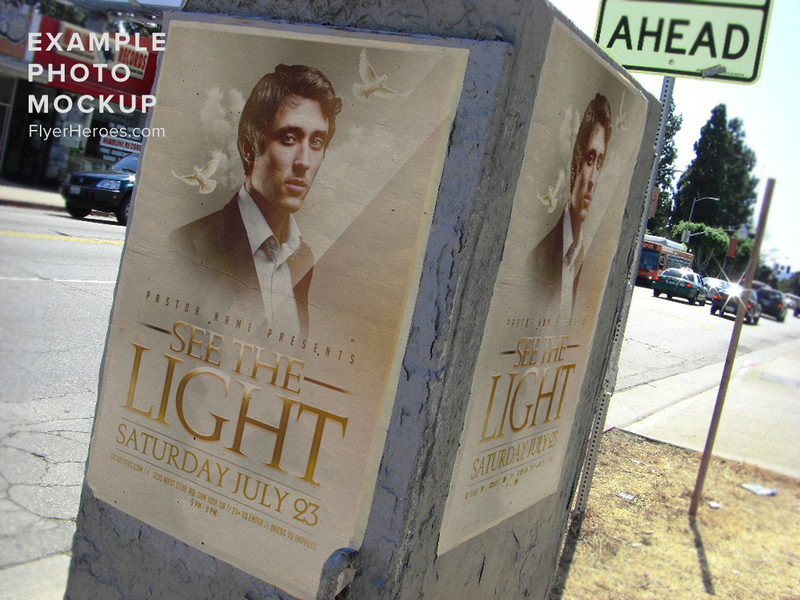 See The Light Flyer Template is a premium Photoshop PSD flyer / poster template designed by FlyerHeroes to be used with Photoshop CS4 and higher.